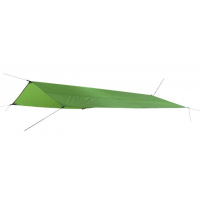 Exped Camp & Hike Tarp III-Green 7640120119027. Four corner pockets hold guylines. It also has multiple anchor loops. When minimal weight and small packed size are necessities these shelter solutions deliver both without sacrificing Exped quality or fine detail. Tents tarps and mosquito nets can work alone or in concert to achieve protection from the elements for the most gram conscious adventurers. 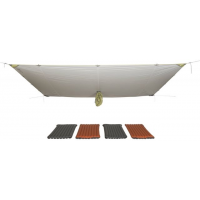 Exped tarps offer a unique proposition to the user: knotless set-up. 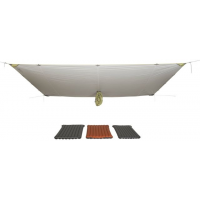 These are ingeniously user-friendly shelters that go rapidly from stuff sack to fully deployed without requiring a single knot for anchoring.